We offer complimentary round trip transfer (all year round) to and from Krabi Airport (or on Lanta island). For this, we highly recommend you to book a flight that lands at Krabi Airport by 16.00pm. For safety reason, we will only operate car transfer from Krabi Airport to Pimalai for guests who arrive Krabi Airport after 16.00pm. Please look for our Airport Representative who will hold a PIMALAI signboard. He is located just after the luggage collection area and will assist you with your transfer. - on shared mini van and shared speedboat operated by the resort, for its guests exclusively. where to board Pimalai boat, a surcharge will apply. Please scroll down to read the Terms and Conditions below. Please ensure to reconfirm your arrival details with our reservation so your journey to Pimalai will be arranged in the most effective way. Other guests may arrive from different places and by different means, and we coordinate all guests to arrive at Pimalai Jetty as close as possible to the boat scheduled departure. There may be a small waiting time at the jetty for the boat departure, but rarly more than 30 minutes. we therefore recommend to wear sport/ casual shoes. We will use our speedboat to cross over from our Pimalai mainland jetty to Koh Lanta Island - and then drive for about 45 minutes straight to the resort. We try to operate the transfer boats as near as possible to the above schedule. If there is a delay, it is most likely due to interference by mother nature. Not coming from / or going to Krabi airport? Please contact reservation for further details. 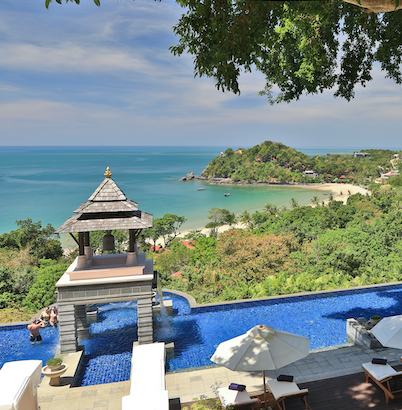 Complimentary transfers - from/ to Krabi airport or on the Koh Lanta island – only apply on the days guest check in to and check out of the resort. During daytime, and on rare occasions, we may have to cancel the boat trip at any time if it is determined that there are adverse weather or sea conditions, or exceptional circumstances. We will then take a different route to get you to the resort. We may also use the public ferry facility (20 minutes crossing time) and then drive for about 40 minutes right to the resort. In those special circumstances the transfer may then take an additional 15 to 20 minutes travelling time. From mid October to April, the resort boats dock along side a floating jetty which can sometimes be a little bit wobbly; we therefore recommend to wear sport or casual shoes. Departing from the resort, we use the same route as on arrival, though we allocate extra travelling time to ensure that you are well on time to catch your flight home.